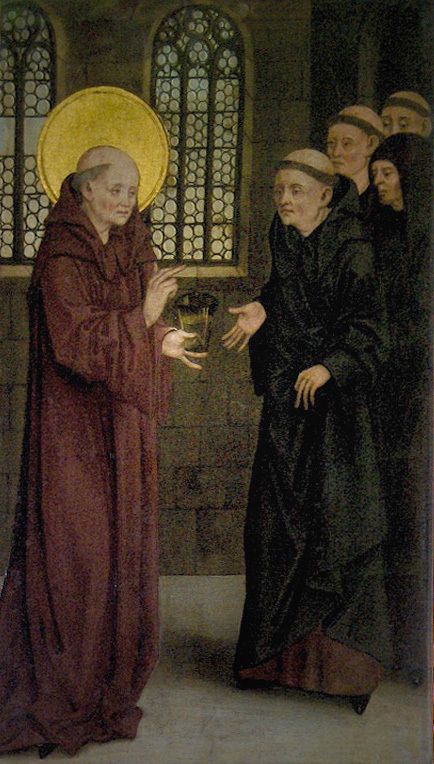 The Benedictines are perhaps a little out of fashion today: maybe they always were. (After all, Benedict narrowly avoided being poisoned by the monks at his first monastery.) 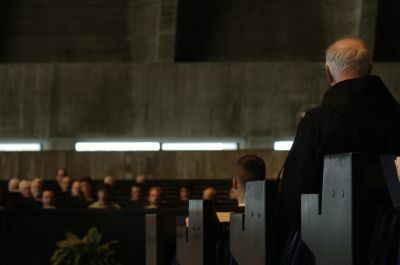 I feel incredibly blessed that the wisdom of the Rule of St. Benedict (hereafter, RB) and the warmth, hospitality, and guidance of countless Benedictine nuns and monks have profoundly shaped my journey from western North Dakota to St. John’s University—associated with St. John’s Abbey—to where I am today. 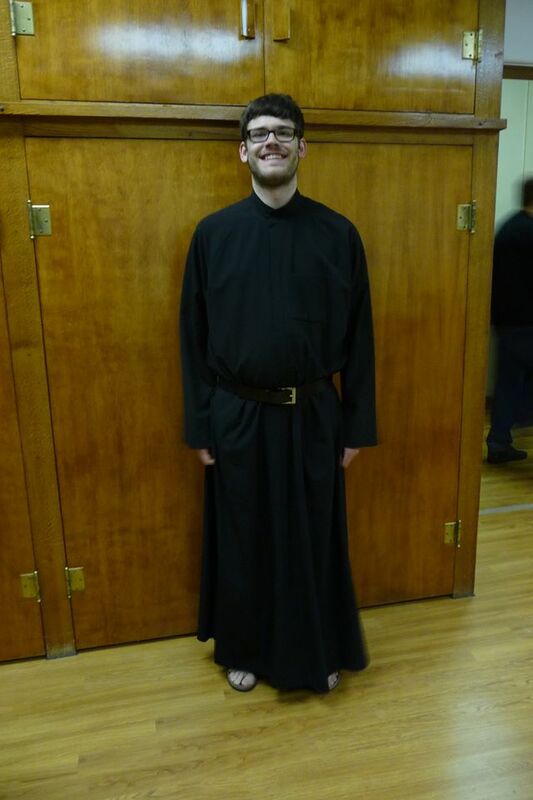 I feel profoundly blessed by the wisdom and holiness of my brother, a novice at Assumption Abbey in Richardton, ND. Benedict’s Rule is a masterful chastening of expectations regarding a “heroic” vision of monastic life. Over and over, Benedict counsels the leaders of the monastery to have moderation, and he himself sees the Rule as merely a “rule that we have written for beginners” (RB 73:8). My brother has sometimes expressed his frustration about such moderation, saying he expected the monastery to make him holier in a speedier fashion. But he almost immediately follows this by saying what he is learning: trust in the God who takes time to work in and through us and patience with that God’s designs. The Benedictine moderation that depends on God’s plans for the “long haul” sets a profound standard for our polarized and polarizing world, encouraging us to be patient and kind with others and ourselves out of deep trust in God’s faithfulness to us. The life of a Benedictine has always been and continues to be permeated by Sacred Scripture. It is no wonder that innumerable hand-copied manuscripts were produced by Benedictine monasteries for centuries (a tradition which the St. John’s Bible continues to promote). It is also no surprise that the Benedictines developed the practice of lectio divina (sacred reading), slowly ruminating on a scriptural passage so as to hear God speaking to you here and now. Indeed, Benedict recommended 2-3 hours of lectio to his monastics daily (RB 48:1 and passim). It is no exaggeration that the Word of God lights the Benedictines’ world, filling it with meaning and characterizing it by deliberate listening. In a nihilistic and often hopeless world, flickeringly illuminated by the endless “clickhole” flashing of our smartphones, this is a practice which can return us to ourselves and God. Benedict continues to speak to us today in our distracted, flakey, polarized, and increasingly secular world. Though these aspects cannot serve as a quick fix to our problems, they orient us to the wellspring of life whom Benedict: Christ, to whom we ought to prefer nothing (RB 72:11). May we listen to his call as well as the call of his sons and daughters: “Listen […] with the ear of your heart” (RB Prologue:1), that more and more you might “let God be glorified in all things” (RB 57:9). No other religious order has shaped the lives of Catholics in western North Dakota like the Benedictines. The first bishop of the Bismarck Diocese was Vincent Wehrle, OSB, and there are still two Benedictine monasteries for women (Sacred Heart Monastery in Richardton and Annunciation Monastery in Bismarck, associated with the University of Mary) and a Benedictine abbey for men (Assumption Abbey in Richardton). As Kathleen Norris has so beautifully described in Dakota: A Spiritual Geography, there is indeed a sort of in-built resonance between those geographically shaped by the Great Plains and the Benedictine ethos. Joan Chittister, OSB, Wisdom Distilled from the Daily: Living the Rule of St. Benedict Today (New York: HarperCollins, 1990), 151. Chittister’s whole chapter on stability beautifully extends this point. For a quick guide to this practice, see this handout by Luke Dysinger, OSB. For a more in-depth treatment, see Michael Casey, OCSO, Sacred Reading: The Ancient Art of Lectio Divina (Liguori, MO: Triumph Books, 1996). For an illuminative and beautiful account of Michel’s friendship with Dorothy Day and Peter Maurin, see this piece by Mark and Louise Zwick. 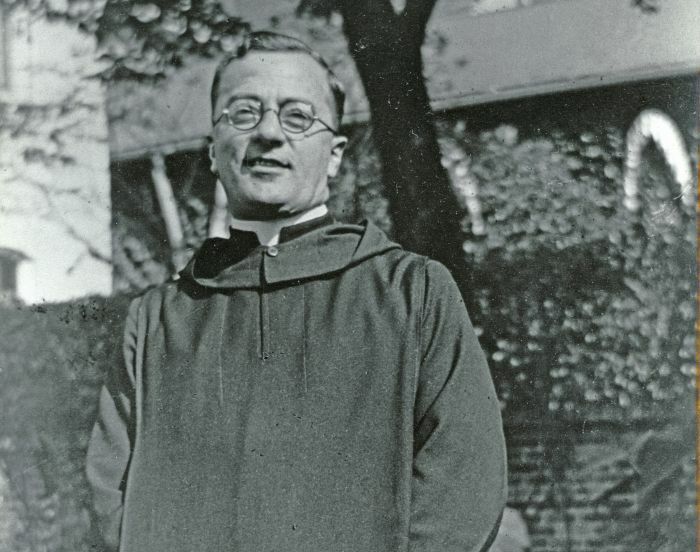 On this connection, see Rita Ferrone’s interesting account of Virgil Michel’s legacy. enjoyable read! I went to a Benedictine college and you reminded me of those wonderful years.